Is ‘Living for the Sake of Others’ Really a Good Idea? In a cynical and dangerous world, idealists are often seen as deluded people who don’t know how the real world actually works. Many religions teach the value of selfless giving or “living for the sake of others,” but is that a realistic way of life? Couldn’t that lead to being used or exploited by others? Is this just a Sunday School truism for the naïve and weak? Don’t nice guys finish — last? Adam Grant, a professor at the Wharton School, one of the world’s leading business schools, has devoted the past two decades to studying people who practice high levels of giving in their lives. 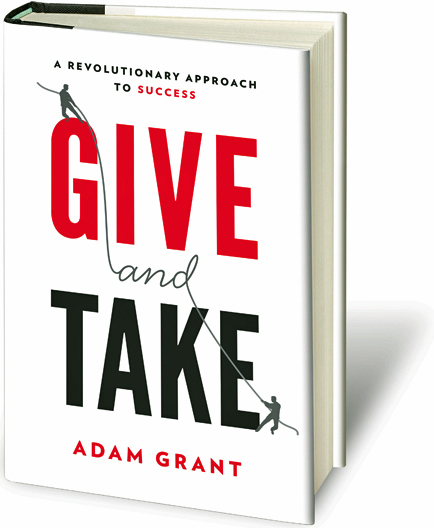 In his new book, Give and Take: A Revolutionary Approach to Success, Grant argues that a substantial body of research shows that people who generously give to others — those he calls “givers” — are happier and more successful than both those who merely seek to “match” what others give to them and “takers” whose every action is calculated by their own self-interest. According to Grant, neuroscience evidence shows that giving activates the reward and meaning centers in our brains. These benefits are not limited to giving money: they also show up for giving time. One study of more than 2,800 Americans over age 24 showed that volunteering predicted increases in happiness, life satisfaction, and self-esteem—and decreases in depression—a year later. Other studies show that elderly adults who volunteer or give support to others actually live longer. But do the benefits of giving work in the “dog eat dog” world of business? Grant cites examples of “givers” in the business world. One is Kevin Liles, who worked as an intern for free for Def Jam records and rose to become its president. As an intern, Liles was the first to arrive at work and last to leave. As a promotion director, Liles was responsible for one region, but went out of his way to promote other regions too. Grant says, “Everybody started to look at Kevin as a leader, because they all looked to him for direction. He gave until people couldn’t live without him.